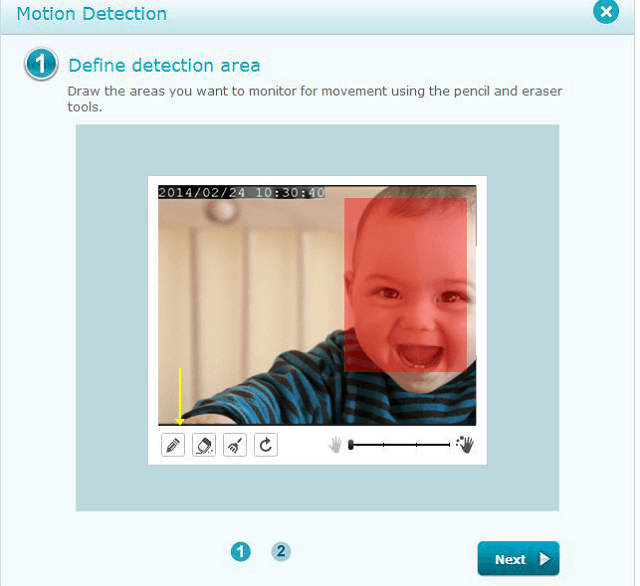 How do I configure Motion Detection on my mydlink Baby Camera using the mydlink service? 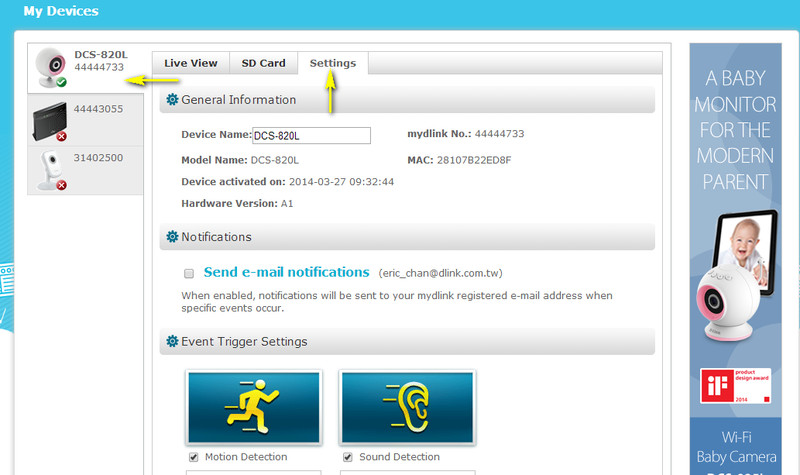 Use this process if your mydlink Baby Camera is already registered with your mydlink account. 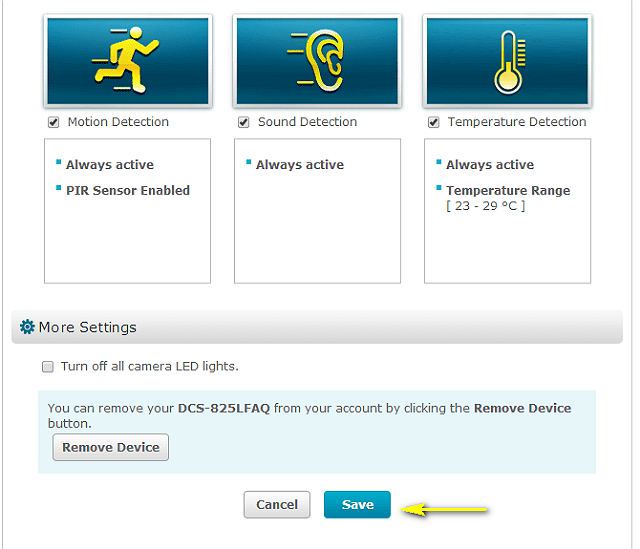 Step 4: Ensure the Motion Detection checkbox is checked and click the icon. 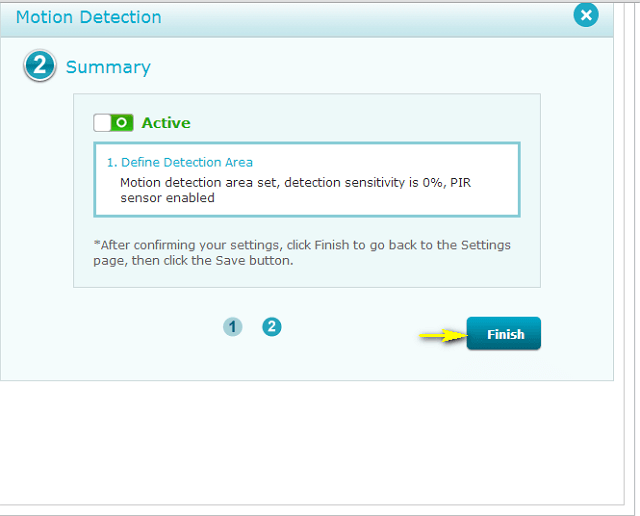 Step 5: Select the detection area and sensitivity you would like using the drawing tools. Click Next to continue. 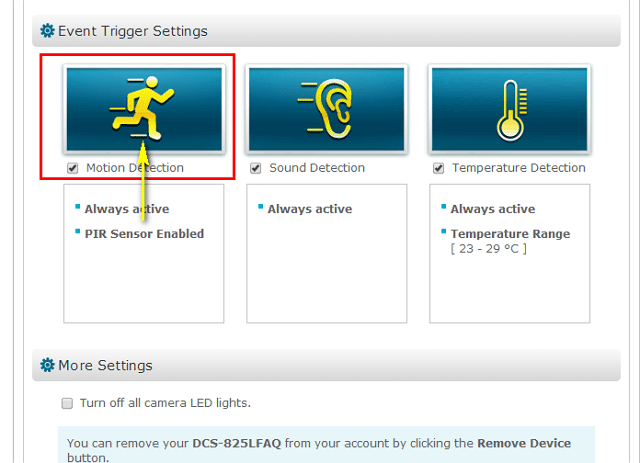 Step 6: Click Finish to confirm the motion detection settings. 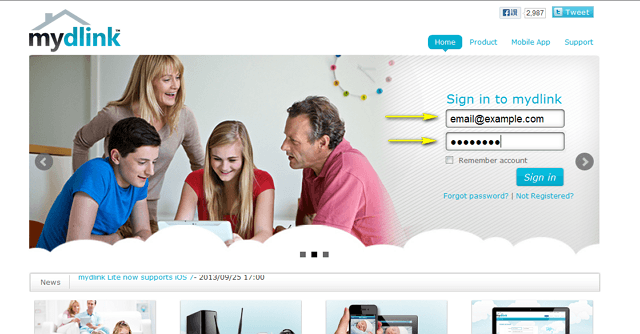 Step 8: Click Yes to confirm changes.